Two teams will take a significant step towards the 2018 Winter Olympics this December at Revolution Place in Grande Prairie, Alta. 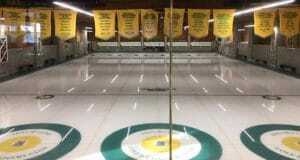 The 2015 Home Hardware Canada Cup of Curling, scheduled for Dec. 2-6, will determine the first qualifiers — one men’s team, one women’s team — for the 2017 Tim Hortons Roar of the Rings Canadian Curling Trials in Ottawa, the event that will decide Canada’s curling teams for the 2018 Winter Olympics in Pyeongchang, South Korea. 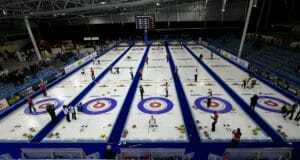 Eight men’s and seven women’s teams will be in Grande Prairie for the opening event of Curling Canada’s 2015-16 Season of Champions series. And the field includes a who’s-who of Canadian curling, including the reigning Olympic champions, skipped by Brad Jacobs of Sault Ste. Marie, Ont., and Jennifer Jones of Winnipeg, as well as the 2015 Canadian champions — Tim Hortons Brier winner and Ford Worlds bronze-medallist John Morris of Calgary, and the Jones team, which captured the Scotties Tournament of Hearts and a world championship silver medal. Defending Home Hardware Canada Cup champions Mike McEwen of Winnipeg and Val Sweeting of Edmonton (who fell short to Jones in the Scotties final) also will be in Grande Prairie. Not only do the winning teams in Grande Prairie earn the first berths into the Tim Hortons Roar of the Rings, they also qualify to be part of Team North America at the 2016 World Financial Group Continental Cup, Jan. 14-17 in Las Vegas. As well, they will take home the winner’s cheque of $14,000, complemented by $2,000 for each of their round-robin wins. The defending Tim Hortons Brier/Scotties champs automatically qualified for the 2015 Home Hardware Canada Cup, as did last year’s Canada Cup champions. The remainder of the field was determined by 2014-15 Canadian Team Ranking System standings, and because there was a virtual tie for the seventh berth between Winnipeg’s Reid Carruthers and Toronto’s John Epping, both teams were given berths. A tiebreaker has been set up for future editions of the Home Hardware Canada Cup to eliminate this scenario going forward. 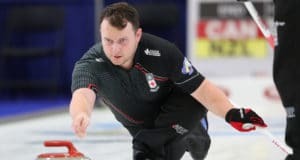 The men’s field will be rounded out by 2006 Olympic champion Brad Gushue of St. John’s, 2015 Tim Hortons Brier bronze-medallist Steve Laycock of Saskatoon and two-time Tim Hortons Brier champ Kevin Koe of Calgary. On the women’s side, two-time Scotties champ Rachel Homan of Ottawa, 2013 Tim Hortons Roar of the Rings runner-up Sherry Middaugh of Coldwater, Ont., two-time world junior champ Kelsey Rocque of Edmonton, Tracy Fleury (formerly Horgan) of Sudbury, Ont., and Kristy McDonald of Winnipeg comprise the remainder of the field. Rocque (taking over as skip for Laura Crocker’s team this season) and Fleury qualified by taking berths that were declined by Heather Nedohin and Jill Thurston, whose offseason lineup changes made them ineligible. Click here for the rosters of the competing teams.